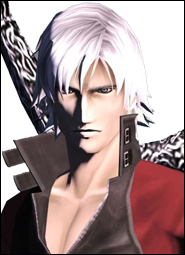 Is it just me or does this version of Dante have a certain rebellious and rough attitude that the others lack. I know this is entirely due to him simply mellowing out with age but moreso than the combat, story, or characters, this Dante is what makes this the best game in the series for me. When he taunted his enemies it almost came off as him bullying them, at least to me and I loved it. Let me Know what you guys think? Do you think the other Dante's dont have the charm that made DMC3 Dante especially lovable or am I alone? Not counting DMC2, I like each of the others the same. DMC3 Dante was a kid, DMC1 Dante (besides having a different voice actor) was a bit more serious cause he was avenging his mom, DMC4 and DMC5 just feel like DMC3 but a bit more mellow cause of his age. I know a lot of people have an attachment for DMC3 Dante since DMC3 was widely considered the best game for so long (I'm sure it still is by a lot), personally I prefer a more seasoned Dante. DMC4 Dante felt more like someone's fanfiction take on the character while DMC5 Dante felt like what his 4th incarnation plus his design in 5 also helps. The best Dante is DMC2 Dante. Best looking, coolest outfit, and I love laconic badasses. But, that's not who Dante is supposed to be. DMC5 Dante is the best Dante-like Dante, IMO. I'd say Nero and DmC Dante are equally rebellious but they can feel more try-hard and mean-spirited than DMC3 Dante. DMC3 was a lot of people's introduction to DMC so it became the standard on which the other interpretations are judged upon. I think they did a better job balancing the humor with some genuine pathos in a way future incarnations never fully achieve. 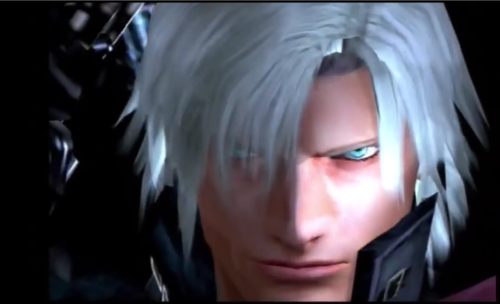 DMC5 Dante comes close but I think him going against Vergil had a lot to do with that. Ironically Dante is at his best when he's going after Vergil and Capcom hasn't figured out how to achieve a similar result beyond dealing with Dante going after Vergil. Hopefully Nero has better luck. Shin Megami Tensei Dante is my favorite. Unlike DMC2 Dante, he looks exactly like his DMC2 cover image (his in-game model's eyes look slightly different from the box art), so he just flat-out looks better in SMT imo. Not to mention, he has the best dialogue and personality (second to DMC5) because Atlus have some of the most talented writers in the Japanese game industry.